Allah ‘Azza wa Jal describes in Holy Qur’an that, “We show you Our signs upon the horizon and within yourself.” We live in a society – universal society, not that we’re talking about only the location that we’re living- we live in a time, in a world now where the philosophy they have is: we come from a state of ignorance and gradually we are increasing in our competence and our level of intelligence. And we are supposedly at the height of our civilization. Where Allah ‘Azza wa Jal tells us in Holy Qur’an that, “No, I taught the holy prophet Adam alayhis salaam, peace and blessings be upon him, I taught him all the names. 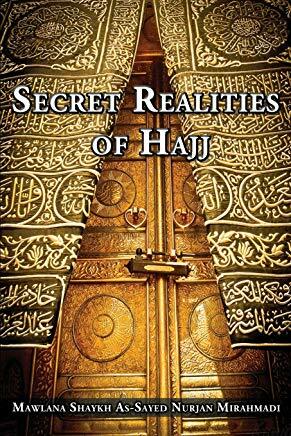 I told him all realities.” And the angels were astonished and bowed down in prostration. And that was the prostration of respect, of that Divinely Knowledge, that the Prophet Adam alayhis salaatus salaam came and delivered to this holy earth. We are then of an understanding that we were very intelligent before and we are in the worst of condition now. We are closer to the ‘Planet of the Apes’ movie where pious people consider us talking animals. We have very little of our humanity left, very little of our resemblance of our paradise dress. And we are very close to the understanding where Allah ‘Azza wa Jal shows us in the movie ‘Planet of the Apes’: you are just a gorilla that talks a lot, with all sorts of different characteristics. But at one time there was knowledge and realities upon this earth. One of them because you see the outward sign and then they begin to teach the inward reality within ourselves. The spiritual world, they teach these realities for the soul and they don’t have permission to bring that reality for the material world. And the bad ego and bad characteristic takes that reality and wants to use it for the material world, hence we see the sign outside as a way of reflecting, because there’s more negativity than positivity. There’s more of a negative ego trying to inspire and bring out all these realities for material benefit versus spiritual benefit. So spiritual pursuit is smaller; material pursuit is always greater. Then Allah ‘Azza wa Jal saying, “I’ll show you the sign on the horizon,” because there will be many, because people’s material desires- they use realities for material desire, profit and benefit. Spiritual realities, there is no profit. They follow the real Prophets alayhis salaatus salaam but not the profit- getting some benefit. Begin to teach us that when you look just at the symbols of the earth, the pyramid- it was not a tomb, it had nothing to do with being a tomb. It had to do with a source of energy and a symbol of power. And they begin to teach, because of the benefit of the internet, which some people can use for negativity and some people can use for positivity; is that when they have only one way of teaching, that no, “We are monkeys and we are coming towards our height of civilization,” then you have no access to knowledge. As a result, with the opening of the internet, no you can pretty much Google everything and find what needs to be found and realities to be taught. That, based on that philosophy, they will never show anything of intelligence. All of the science and physics and history will be based on the foundation that ‘we were a gorilla and now we’re at the height of our civilization’, not that ‘no, we were at the height of our civilization; we had technologies and realities and we are gorillas now’. We’ve devolved- not evolved- you go down. When you Google and they say, “These pyramids, these were power sources. These were tremendous realities.” And they say that it was built in such a way as a perfection of insulation- certain stones on the inside, another layer of stones outer and a completely different type of stone on the outermost. And it was like a wire. They are showing us now in today’s technology the layers of wiring, because you have the copper on the inside which conveys the energy and the energy moves on that. And the shield that holds it and protects it so not to lose the energy. Its source they say came from water and there were water tables and water pools all around. And they merely had the sun to reflect on these water pools, move them in different directions and this water would hit these granite stones, marble stones and all the different structure they put together and begin to release and they would capture, its energy. Based on its insulation, then they would perfect that energy because once that energy is well-insulated, it begins to reflect to each other. 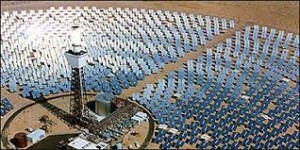 That is clean energy. It’s not made from exploding anything. It’s not made from making anything to be dirty but as a healing energy. And that energy multiplied, multiplied, multiplied and became a tremendous source of power. Then somebody asked, “Well where is that today?” Well because holy people are not permitted and not allowed to bring for the material world. Because any of these realities that you introduce into the material world, somebody wants to profit from it. Somebody wants to sell it. Somebody wants to make an exchange from it. You cannot buy and sell and trade Allah’s realities. Then the Divine says it’s hidden. But shaytan and bad character get an inkling, a whiff of that real ity and they bring it and manipulate it. For us, the teaching of that reality is in our being. Our being is more perfect than that pyramid. 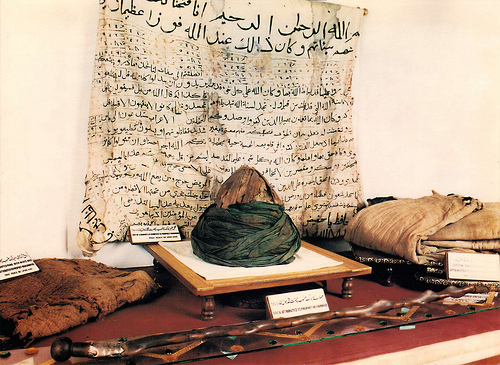 Means what Prophet sallallahu alayhi wa sallam brought of the Sunnat an-Nabi sallallahu alayhi wa sallam, the shari’a and the law of Sayyiduna Muhammad sallallahu alayhi wa sallam and the power of Holy Qur’an- these are the insulations. 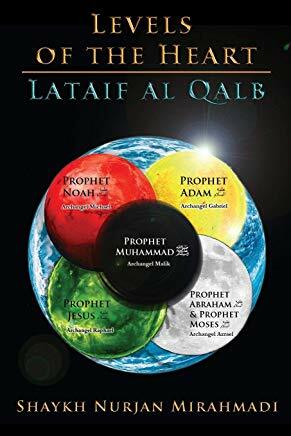 Means Prophet sallallahu alayhi wa sallam is teaching- and all the prophets, they are brothers, teaching: if you follow the Divine understandings of good and bad, right and wrong for your being, you’ll perfect your inside, because you need a water source shined with sun. That sun is an imitated energy source. So all the prophets came to teach, because they take a very difficult religious jurisprudence or religious understanding and simplify it for everybody to take; very basic, like children you can eat it, you can understand it. The rules of the Dos and Don’ts of reality, of the deen, of the way of Allah ‘Azza wa Jal was to perfect the heart. If you listen to the dos and don’ts’ and correct the character, the heart will become perfected. If the heart becomes perfected, it becomes a sun within the being. An eternal flame will be lit within the heart because God occupies the heart: “Qalb al-mu’min baytullah”. Means that when the Divine is happy that the servant is keeping the boundary and the limits of the Divine, keeping the character of what the Divine wanted for himself, for his family and for his community, He begins to occupy that heart. If Allah ‘Azza wa Jal occupies- when we say occupy, not that God comes into the heart, nothing can contain Allah ‘Azza wa Jal– but merely Allah’s Rida and Satisfaction, God’s Happiness and Joy begins to gaze upon that heart and it becomes illuminated and eternal. And the eternal flame within the heart, it is the seed of the soul. It is the power source of the entire universe of our being. 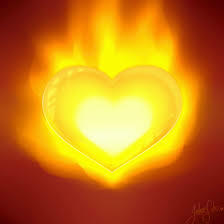 If that is lit and that heart is a sun, it merely begins to shine on the water of our body which is the blood. And Divine teaching that: everything you see outside, when you’re amazed by it and understand its science, it was already given to us as a reality. But we lost the internal reality and people mesmerized by the external, what they’re seeing. Every technology is based on a deep spiritual reality. They say they were producing power with sun, water and specific stones that emit the energy, and the molecules, the atomic reality of the water. 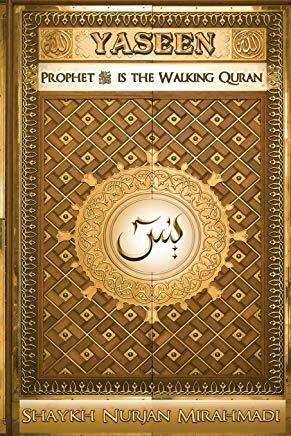 The Divine is teaching: keep the Sunnah of Sayyiduna Muhammad sallallahu alayhi wa sallam. Keep the dos and don’ts of what Prophet sallallahu alayhi wa sallam want; you will be insulated. Dress in modesty so that your energy stays with you and is not dissipated. This pyramid is very interesting because you watch these shows- says that if the cap stone is taken off, it didn’t function. So they made a big structure, went to so much difficulty that every stone precise, that you couldn’t put a razor blade inside the stone. Anything off, it doesn’t function- the energy comes and goes- not to the perfection what they wanted. If for a pyramid of stones that preciseness has to be there, what about for ourselves, to support the reality of the soul? Why you are worried about the stone structure? See how it’s all insulated? Look at a wire- has all these layers of protection just to carry the electricity on the copper. What about the electricity that’s moving within your body? Then keep yourself to be protected. Insulate yourself so that your energy doesn’t leave. Insulate yourself so that people’s negative eyes and negative energy, that they merely gaze upon you and they send you difficulty and they pull from you light- what we call the eye of envy- not that they’re bad and not that they know it. We’re energy beings. You don’t understand the extent of our power, that when you look, and somebody looks at you, they have thrown all their burdens upon you. And if you are not shielded and protected, whatever you had of energy was now taken and you feel your battery to be empty. And when your battery is empty, it leaves you to make bad choices, negative choices. The abundance of positive energy within us leads us to make positive choices– a very simple formula- nothing complicated- that when you do good, you are good, you do good. You build the goodness within ourselves, build the positive energy within ourselves, build that energy, build that energy; you find yourself doing good, good, good, good, good because you must have an energy inside to protect you outside. How can we have good choices when there’s nothing inside? Then the prophets came and taught all this simplified reality that: wear like this, dress like this, put your hat onto yourself -not teaching advanced electronics at that time- it was too difficult. 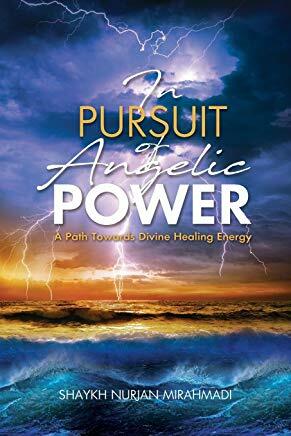 But there’s a time in which people would understand energy and understand positive energy, and understand how negative energy is attracted to positive energy, and it merely just moves towards it and grabs, and takes that positive energy. And then Prophet sallallahu alayhi wa sallam is giving all that information that what an important latayif your head has. 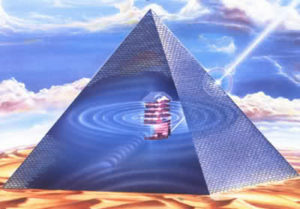 It is like the cap of that pyramid, that everything within the being to be perfected and to be shielded. Then teaching that: use water wash, purify your energy source, purify your being, purify your reality and you begin to be more powerful than that pyramid. No doubt, Allah, “Wa laqad karamna Bani Adam”. The Divine saying, “I have honoured your creation. Those they made with their hands; you, I made with My Hands and I breathe onto you from My Spirit.” Means the Magnificence and Munificence of the Divinely Presence and teaching what our reality, its potential, is. Then you begin to think and understand yourself, that when I shield myself and follow what Prophet sallallahu alayhi wa sallam was bringing, it’s a shield of protection. Then I follow the laws and the discipline of what the Prophet sallallahu alayhi wa sallam was bringing and I begin to understand that my blood and my heart should be perfected. If I want God to occupy my heart, if I want Allah to occupy my heart, He wants it to be clean because there’s no two kings that can occupy one throne. Means that, “Throw that one off your throne and I will occupy,” means, “My Authority will come and sit upon your heart.” So then we begin to understand: I have to purify my heart. I have to purify my way, I have to purify that example. And then Prophet sallallahu alayhi wa sallam is teaching that all of that purification will begin to purify the blood. And then the importance of every breath that comes in, because if you are now purifying that blood, what Prophet sallallahu alayhi wa sallam said about the blood, that: shaytaan moves through that blood. Means for us to understand when we’re sick and difficulties and affected by negative energies, they are teaching us that: build your energy, build your reality. Shield so that you don’t lose what you’re building first because if you don’t take all the plugs and all the holes and plug all the holes, whatever you pour into it is already lost. So shield yourself, protect yourself. Once you have that shield then go in now and reflect upon the self and the reality that my heart needs to be purified. Eat what is halal, dress what is halal and understand the reality of the heart. My breath has to be purified. Where this breath is going and what is it breathing? 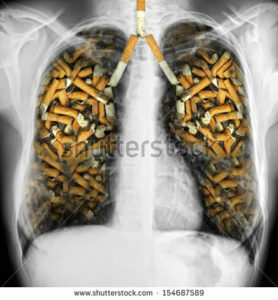 How can you put something into your breath and kill your lungs and kill your heart and kill your being? They begin to teach that my breath is the Holy Breath of the Divine. Means every energy of Allah ‘Azza wa Jal is all around us: Qul Hu. The essence of every atom is a Divine reality of power making it exist. The breath brings that reality into the lungs. The lungs take that energy and dress the blood. That blood moves into the heart. Means now we’re understanding the power of the blood and the energy, that the quality of my blood is going to be based on the quality of my breath. How can you say you have clean blood if the breath is contaminated? Means then where I go and what I do and what’s happening in that air is important. You hang out with a lot of people who are hurting their breath and you’re breathing it in. They say that who breathes on the second hand is more in danger than the one who did on the first hand. Means all these realities Prophet sallallahu alayhi wa sallam bringing. 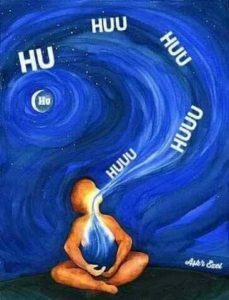 As soon as you purify the heart, purify the blood, bring that energy in and begin to bring that breath in, the importance of that breath that’s coming in, the purity of that breath. To be conscious of God’s mercy is to be dressed from that reality, because God is saying, “Now that you’re conscious of it, I send you even more. Before you were benefiting from it but not caring.” As soon as you become conscious of something, you’re asking for more of it, and Divine wants us to be conscious, wants us to be awake. As soon as you breathe in that mercy, that energy, that light, begins to power every cell in the lungs, dress the blood. And then that blood now moves directly into the heart- it’s the physiology of our body- moves into our heart. What is that blood now going to face the heart? If the heart is clean and free from bad character or is the heart contaminated? So again, visualize if a heart is contaminated, filled with black sludge, whatever the blood goes in is going to be dressed by that. It will take all the energy of what’s in the heart and begin to move through the eleven essential openings of the body. They are teaching: purify your breath. At the same time- it’s not either or- as you’re purifying your breath, purifying your meditation, purifying your understanding, have a shield of energy always with you, understand where you go and where you come and perfecting yourself and your energy. When Allah remembers us, it’s not at our level. As soon as you remembering, say ‘Allah, Subhanallah, Alhamdulillah, La ilaha illallah, Allahu Akbar’, Allah ‘Azza wa Jal remembering us at a higher association. You’re trying to activate the reality. Be firm on that belief; you begin to purify the heart. You begin to cleanse the heart; you begin to ask every day, “Thy kingdom will come, Thy Will be done on earth as it is in heaven”- all holy books the same, that ‘we want Allah’s kingdom, we want God’s kingdom upon the throne of my heart’. The first thing He tells is then: “Remove the evil one. Remove the false one sitting upon your heart telling you what to do.” Then everything is about my internal struggle now – what I want and what I know the Divine wants for me, what I want and what the Divine wants for me, what I want and what the Divine wants for me: one of us submits. Allah’s not going to submit to me so I’m going to submit to Allah ‘Azza wa Jal. I’m going to submit to the Divinely presence. Keep the company of the guides. because once you keep the company of the guides, now you’re opening the reality of the laser. We said before the laser and the power of light- because these are all now light realities. Why is it that if you flash a flashlight it just falls and drops? The energy of the flashlight is not reaching you, you are not feeling that energy; it’s not cutting anything. How is that light working? It’s that oh, they magnify the light to reflect off itself; means they use mirrors. The light comes to a reflector, and reflects they say a million times in a fraction of a second and they add a resonance to the light. They add a frequency to the light. Resonance for us is zikr. They add a zikr to the light in its mirroring in its reality. Means then the concept of the shaykhs are teaching: they are that mirror. That as soon as you’re in their company and you’re learning how to meditate, you’re sending your light, they’re sending their light, they’re magnifying that light; you’re taking that light- they magnify that light. That is the reality of that divine love. The light moves to them; they take that light, pray for that light, they add a resonance and they add a zikr to that light and send it back. And you take it and send it back in appreciation. That becomes the reality of love. That energy goes to them, they take it and bless it, send it back; we take that energy, thank them, send it back, and back and forth, back and forth. 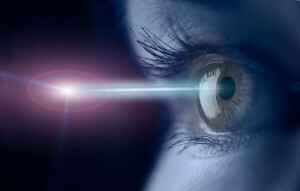 In a fraction of a second, your light becomes more and more powerful, like a laser. And if well-insulated, your energy begins to stay. It’s not lost every five minutes. 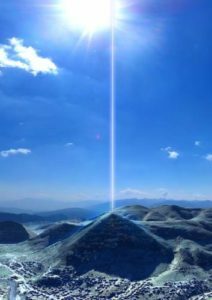 That they teaching you like a laser: open the reality of these lasers. Shaytaan using it for dunya; you use it for Rahman. Means go into the company of these mirrors. They merely send their nazar, [when we say ‘Send your nazar upon us, ya sayyidi, send your nazar’] when Allah ‘Azza wa Jal saying and describing to Prophet sallallahu alayhi wa sallam, “Don’t tell Prophet sallallahu alayhi wa sallam to listen to you, but to look and to gaze at you”. ‘Ishfa lana’ (intercede for us), means we want the gaze of Prophet sallallahu alayhi wa sallam, not he listening to us, his listening to us is in perfection for the Divine Presence. What we want is his gaze because from his holy face is light. That we are sending our light as a gift. He takes that light, intercedes for us, increases the frequency of that light, the blessing of that light and sends it back. Again now we are higher. We take that light, we pray on that light, we send it back as a gift; Prophet sallallahu alayhi wa sallam takes that light, sends it back, sending, sending, sending. 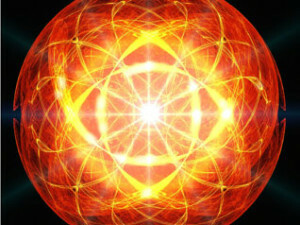 And the reality of fusion, the power of that light is opening, multiplying. 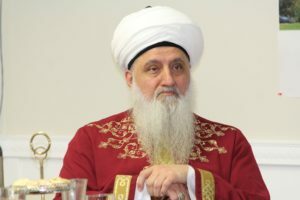 That’s why Mawlana Shaykh says that then: their hearts are like lasers. Means they merely reflect on something and like a laser beam their heart can come out, the light of their hearts come out and they touch the heart and souls of people. We pray that all these realities and every technology has a deep spiritual reality. We pray that Maulana Shaykh open for us more and more understanding of our self and the extent of the treasure that’s available to us but nobody coming to take it.